Whilst relaxing in our hotel, I was checking my daily tweets over on the Eat Travel Love account and noticed an update from the Brand USA account about the latest social interaction campaign from the lovely guys over at Hostelbookers.com. 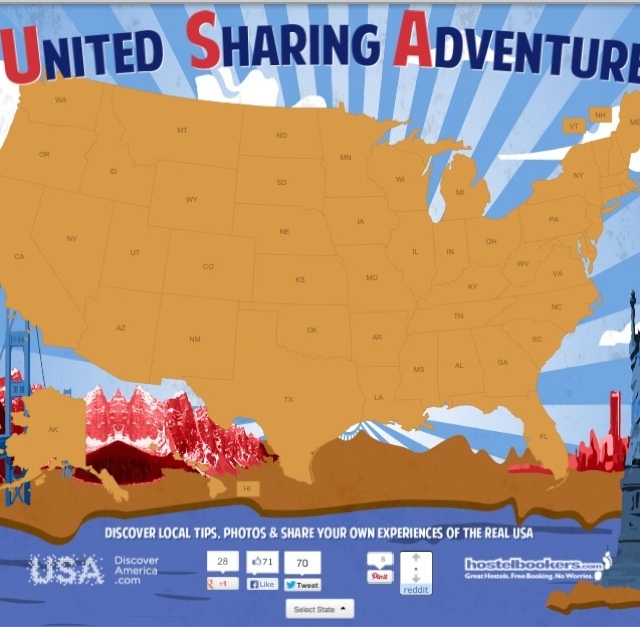 Titled the United Sharing Adventure, I was instantly draw to this on their website (As you all may have read, I'm currently embarking on my own American adventure for the next five months which you can follow at #ETLUSA). 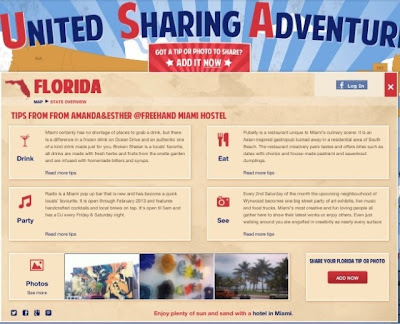 Hostel Bookers have created a helpful travel hub for people who are looking to go and visit or who are currently exploring the USA. 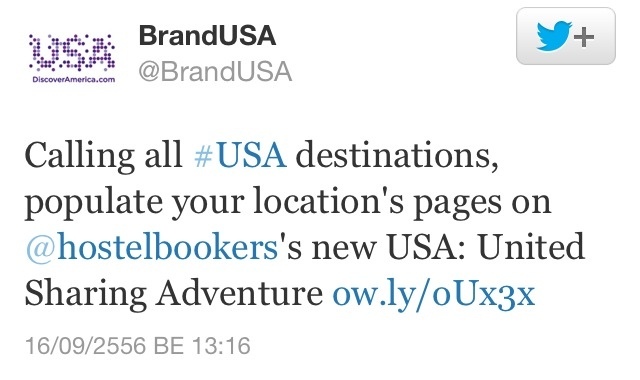 The information uploaded is from travellers, like myself, who have explored the USA or from companies in America. To begin with, you have two options when on the home page. The first is to click on the state you would like to visit and it gives you the geographical spec on that area. Then you can "select state", for example I continued to choose Florida as this is my current US location, from here I was then taken to a more informative area that allows you to search for things to see and places to eat, drink and party. 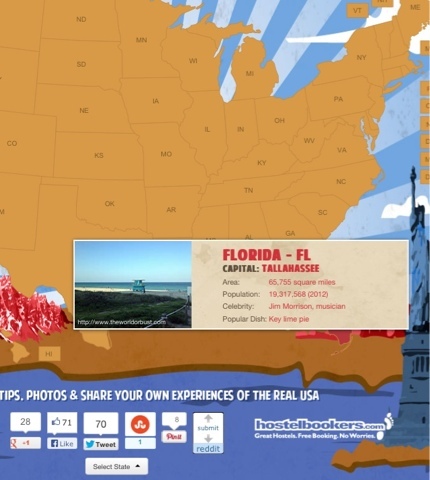 There is also a gallery of people's photos who are currently travelling around Florida and then there's the option to share you's own tips or photos on that area. 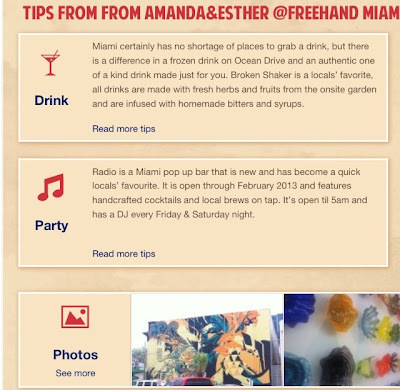 Overall, I think that this a piece of social and marketing brilliance from Hostel Bookers. 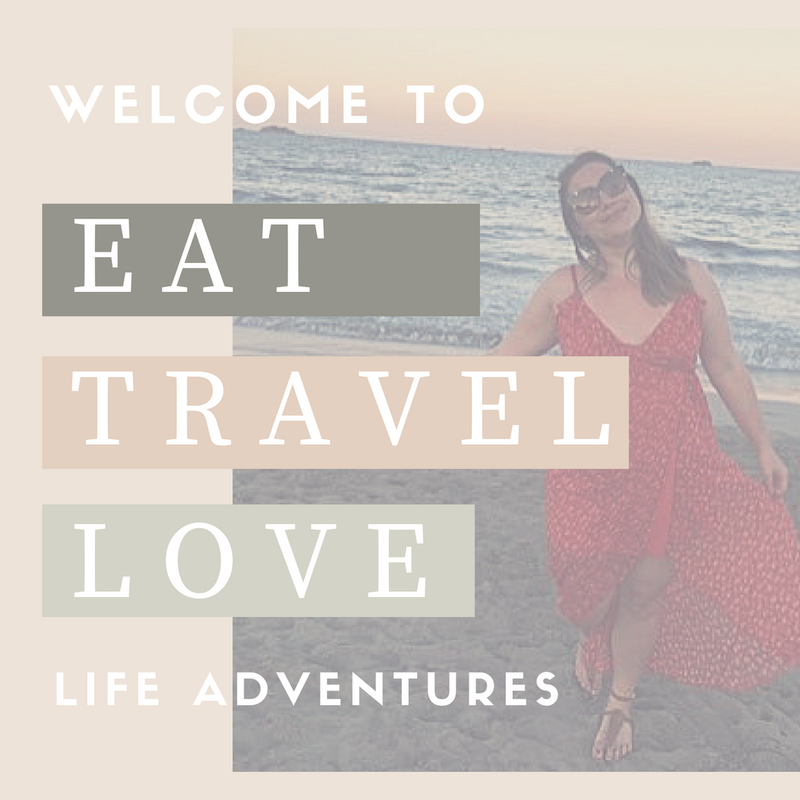 They are bringing the large online travel community together and are giving new travellers to the USA valuable and helpful information. I also feel like this entire social interaction has been made for me haha and I look forward to sharing some of my photos on this too! 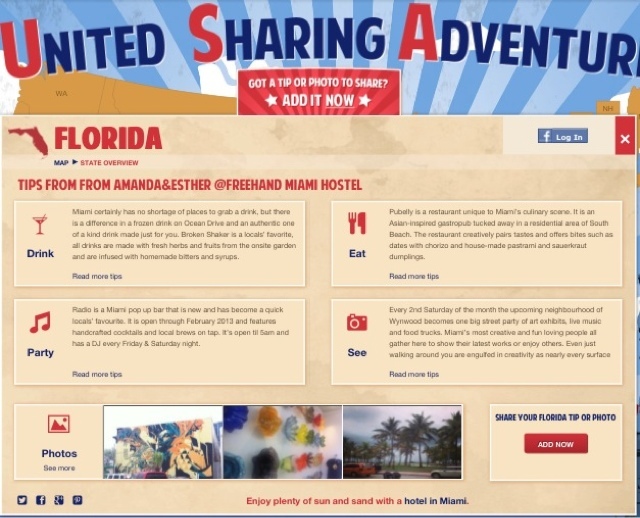 To share your experiences visit http://www.hostelbookers.com/united-sharing-adventure/.